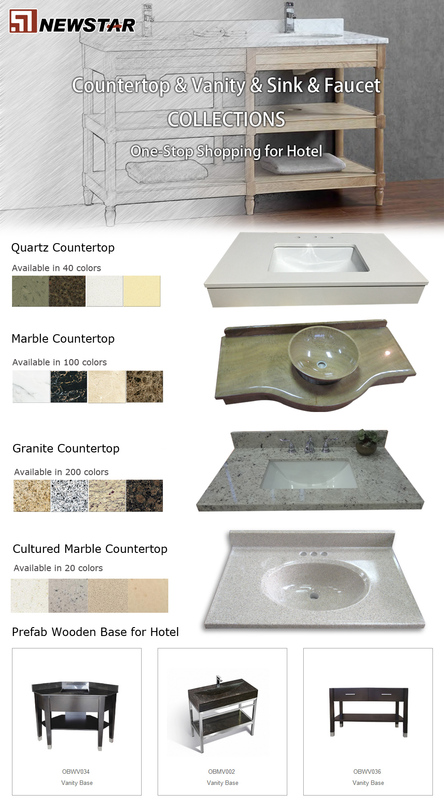 Newstar Stone supply various of Hotel Products -- Hotel Vanity top, Hotel Wooden Base, Hotel Sink and Faucet, etc. Whether it is standard sizes or custom design and layout, we provide them at very competitive pricing. Aprons, tissue dispensers, etc. designed to your specifications and needs. We provide virtually any granite material in any design. We can also provide granite tile material and installation.